Updated Saturday February 6, 2016 by Full Gospel Church Softball League. The Full Gospel Church Softball League of AZ is an independent, not for profit organization, which offers church teams throughout the east valley an opportunity to fellowship together and enjoy the sport of slow-pitch softball. The FGCSL manages three to four Men’s seasons each calendar year. We are a volunteer, family-oriented organization that is looking for church teams that would love to be a part of a ministry that strives to make a difference in the community. Our League Motto: We play to win others to Christ. The primary objectives of this league are to fellowship and enjoy friendly competition with other believers. The recruitment of players, who do not attend church, just to win games is a worldly focus and is strictly prohibited. Teams are encouraged to invite players who are not church members with the goal of winning them for Jesus Christ. Along with displaying all of our Team Schedules, Results and Standings, our website allows us to add League News, Photo Albums and instantly report on Postponed Games. Plus, each team has their own pages which can be customized for their own news, photos, and more. 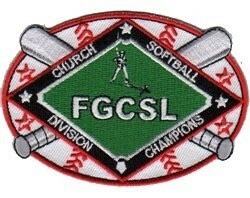 Hope you will be a part of our Full Gospel Church Softball League of AZ!